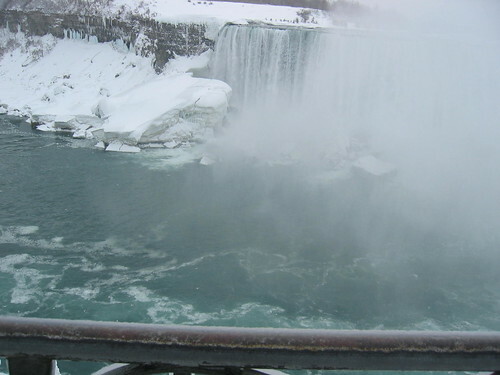 Last month we went to Niagara Falls to view the huge tourist attractions and favorite spots of all travelers. As I said before it is only 3 hours of travel by car from my place. Niagara Falls is the group name of three big waterfalls on the Niagara River in eastern North America, on the border between the United States and Canada. The three waterfalls are the Horseshoe Falls sometimes called the Canadian Falls, the American Falls, and the smaller Bridal Veil Falls. It's a wide and the most popular waterfall in the world. 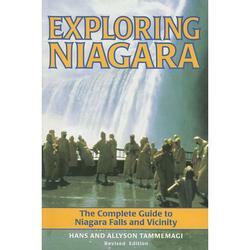 To know more about this awesome falls, check out and buy Niagara Falls textbooks. There are many different kinds of textbooks to choose from. It's durable, high in quality and very affordable. If you are interested to purchase, just check out the website and shop online. You can also view more watery pictures around the world, by visiting watery Wednesday and you can also participate if you like. One of these days, I am going to have to go to the Falls in the winter, just to see the ice. This is a place I would love to visit someday. Thanks for the beautiful shots. Very beautiful. I agree with kden. Would love to visit someday. Love your photographs. Nice post. That has got to be amazing to see in person and the sound must be tremendous! Great shots! Wow, you certainly have much better falls than I do in my washer (lol!) Great shots, Norm! Both great but especially the first shot pleases my eyes very much. A natural feature without its equal anywhere. I guess standing there taking pictures made you feel very small. Oh, I have never been there. I would love to see the Falls in person someday. I will put it on my "bucket list"! Doo, doo, doo, lookin’ out my back door at the SKY! Thanks for the pictures of Niagara Falls in the winter.